Your solar energy system is available in three different options: grid-tied, grid-tied with battery back-up, and off-grid. Grid-tied solar applications are the most common and most affordable systems on the market. In Nova Scotia, we benefit from an excellent Net-Metering arrangement with Nova Scotia Power. Essentially, you can produce your own energy which, when you’re using power in your home, will be “self-consumed”. Anything extra will be exported to the grid for your neighbours to use. The new electrical meter that is installed is able to spin in both directions – allowing you to get credit for anything that you export. Grid-tied solar energy systems allow you to save a bundle on your electrical bills while reducing your carbon footprint! 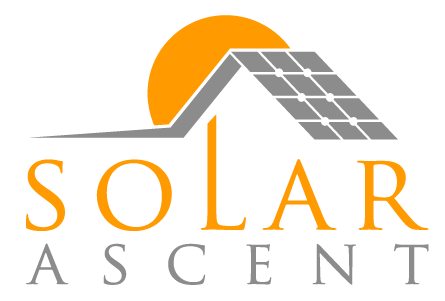 Contact us for your free grid-tied solar proposal today! Grid tied systems are excellent for areas with a stable electrical grid because they rely heavily on the grid connection. When the power goes out, your system will shut down. Even if it’s a sunny day, you are unable to utilize any energy being produced by the solar modules. This is an important consideration when you’re investing in a solar energy system for your home! We love grid tied with battery backup (or, Multi-mode) systems because it allows the homeowner to back-up their most important loads with energy storage via batteries. When the power goes out, your multi-mode inverter won’t miss a beat! Your backed-up loads will continue to run and your batteries will continue to be charged by your solar array! Multi-mode systems are more complex and require a much more in-depth design process. Design fees will vary depending on the complexity of the system, and all design fees are deducted from the final system cost if you decide to move forward. Want complete autonomy? Let’s get you off-grid. If you’ve got a remote project or just want to be in control of your own energy production, an off-grid system could be just right for you. With a well-designed and maintained off-grid system you’ll never worry about grid stability, weather or natural disasters affecting you and your loved ones. Like multi-mode systems, off-grid solar energy systems require a careful look at your energy requirements to design a suitable solar array, battery bank and inverters. As with multi-mode systems, all engineering and design fees will be reduced from the overall project cost. Unsure which system is the right choice for you? Get in touch and we’ll help you choose the perfect option for you and your home.